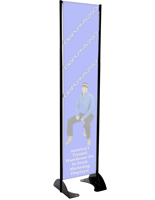 Banner Size: 16" x 72"
18" x 72" 20" x 72" 24" x 72"
This 16” x 72” gray permanent banner stand is a great way to advertise your company’s logo or brand and also display pertinent information for your customers. 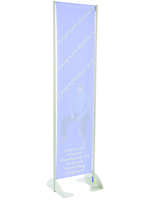 Specifically designed for outdoor mounting, the unit can be bolted to concrete, wood, or other suitable materials. 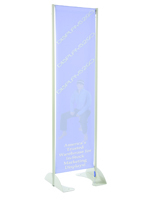 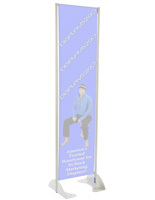 Each aluminum banner stand has a powder coated finish, and can hold a 16” wide by 72” tall marketing sign. 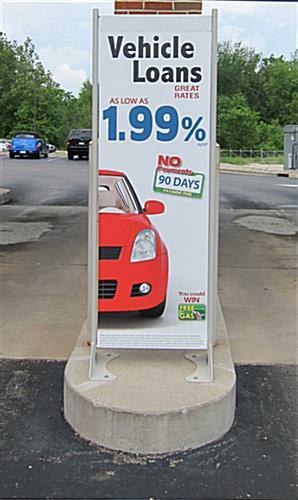 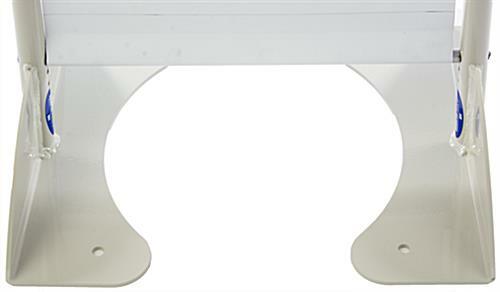 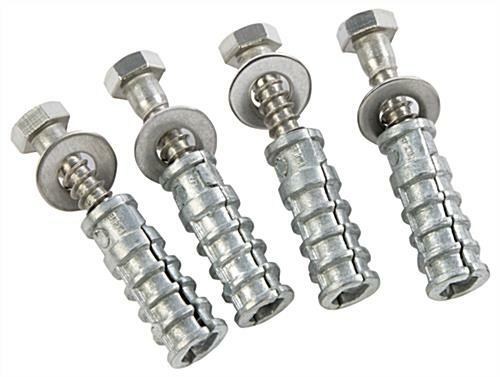 A spring loaded tension bar holds the fixture’s display sign (not included) taut and allows it to be changed easily. 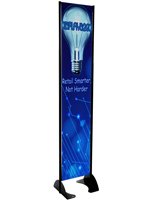 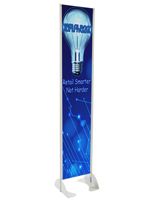 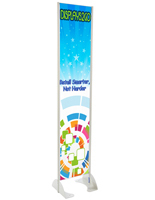 Though designed for outdoor mounting, each banner stand is free standing and therefore a great way to advertise in many indoor environments as well, such as: banks, trade shows, retail spaces, and restaurants - the possibilities are endless! 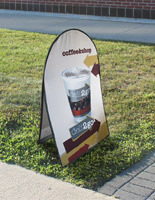 18.8" x 77.0" x 16.0"